ZETTLER Displays manufactures and markets a broad line of TFT panels and LCD modules under the “AZ Displays” and “Zettler Displays” brands, and has established an industry leading reputation as a provider of top quality display solutions in a wide range of industry applications. This division of ZETTLER Group combines sophisticated design and engineering capabilities – in standard and customized versions – with intelligent product diversification, reliable supply chain capabilities, and competitive pricing. The wide spectrum of ZETTLER TFT and LCD products is made available for numerous applications such as Avionics, Medical, Navigation Systems, Industrial Controls, Irrigation Controls, Testing/Measurement devices, Smart Metering and many more – both in standard formats and with optional custom functionality. 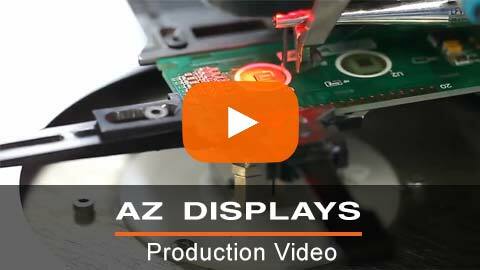 For more details please refer to our “Focus on Displays” PDF.